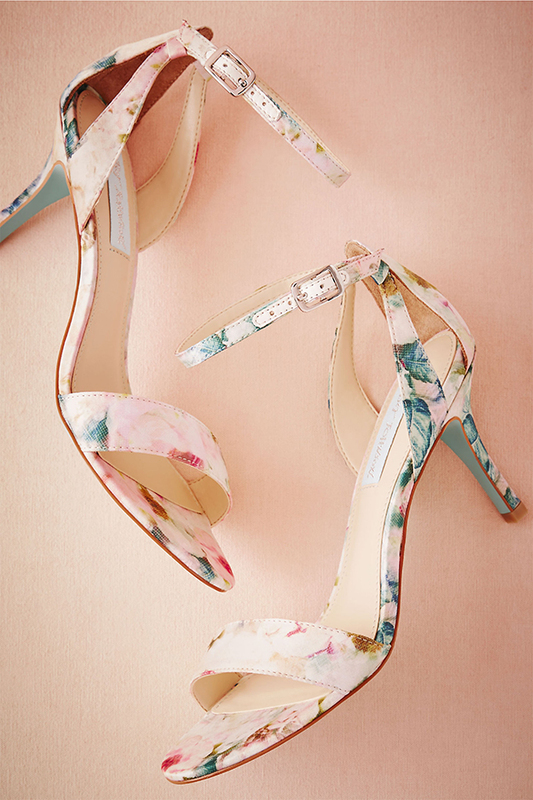 A pair to wear beyond the big day, we love the balance of minimal design and bursting floral print on this ankle-strap pair. 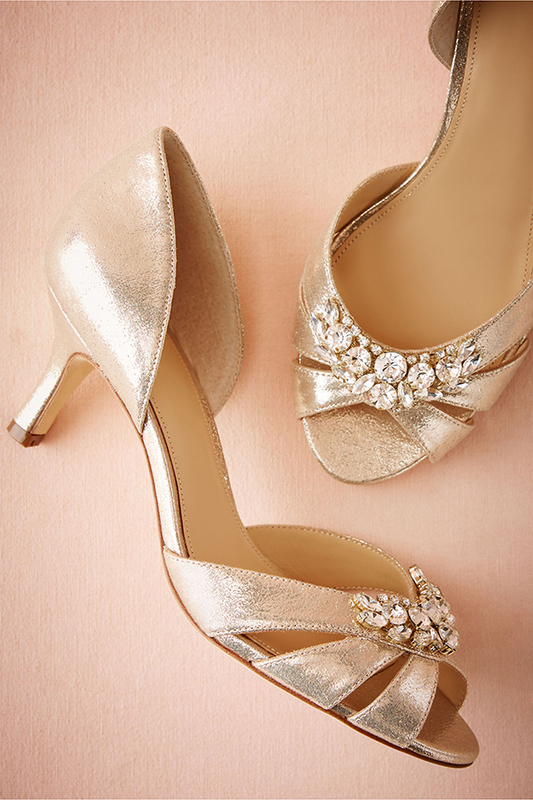 We love how a band of luxe at the ankle elevates these shimmery champagne kitten heels. 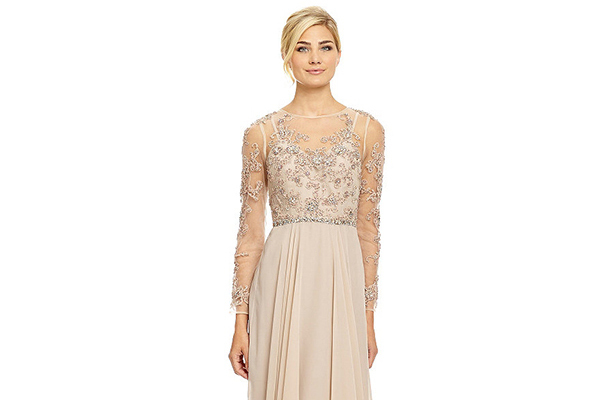 A zipper closure ensures an easy and secure fit. 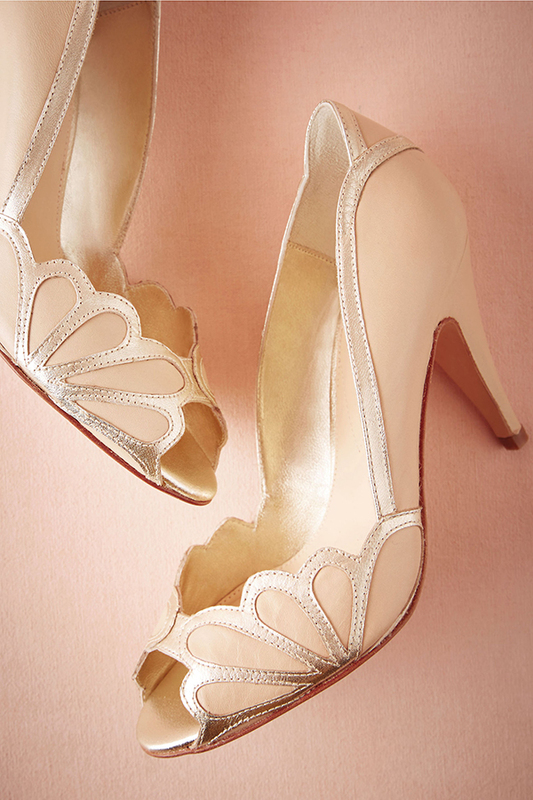 Complete with leg-lengthening t-straps, these coral heels are the epitome of retro glamour. 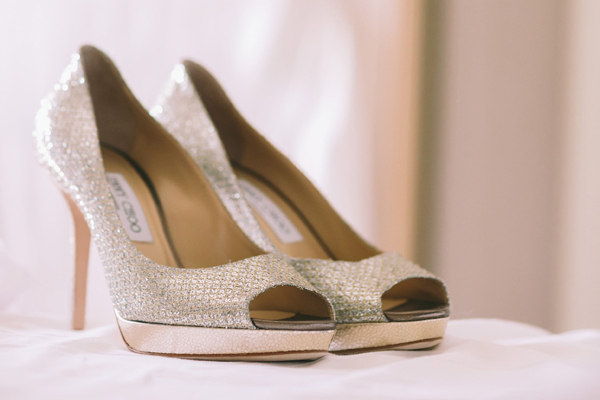 This golden pair shines with a leg-lengthening, braided T-strap. 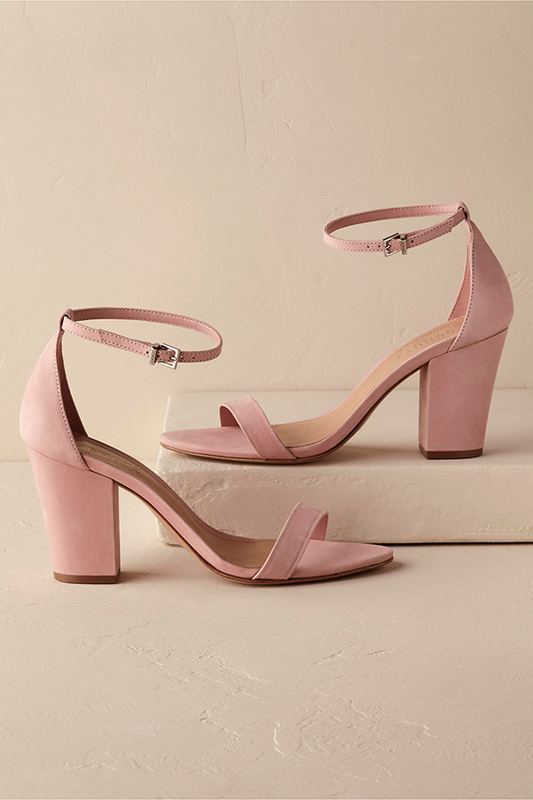 Understated and feminine, this block-heeled pair makes a comfortable and versatile pair for the fashion-forward lady. 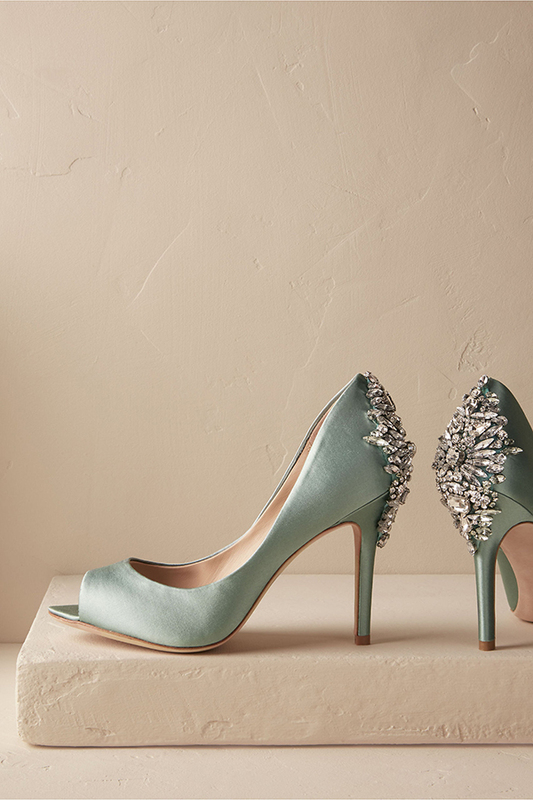 The perfect "something blue," we love how this crystallized satin pair balances glamour with a sophisticated silhouette. 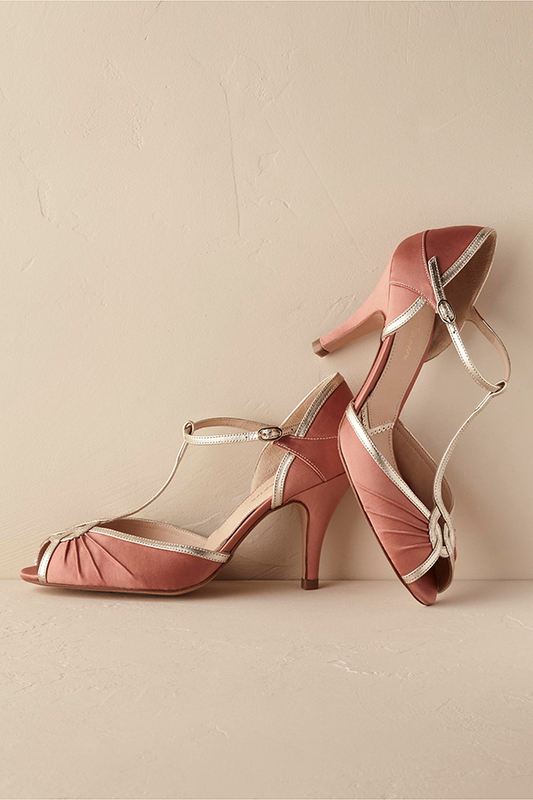 Set apart by romantic scallop detailing, champagne metallic leather trim, and a lovely pastel hue, these peep-toes are perfect for brides in search of a classic pair with a bit of a twist. 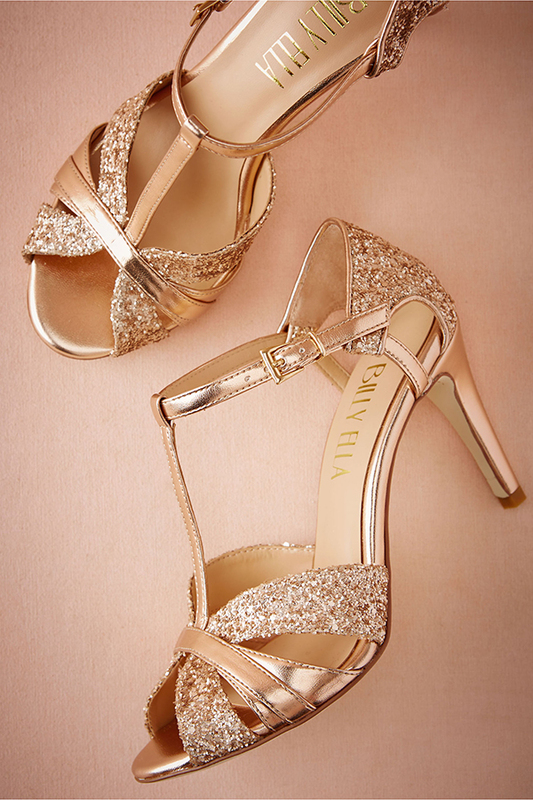 Handmade in Spain, they’re the perfect height for dancing all night long. 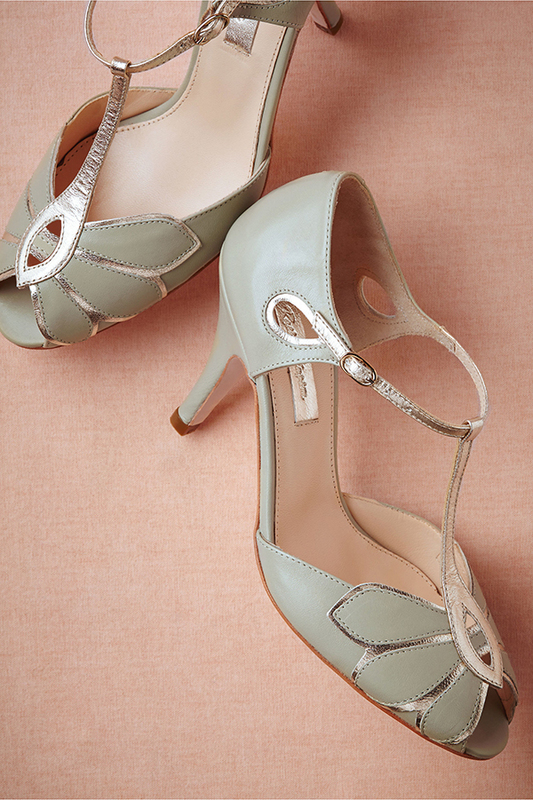 This sky-hued pair shines with a leg-lengthening, braided T-strap. 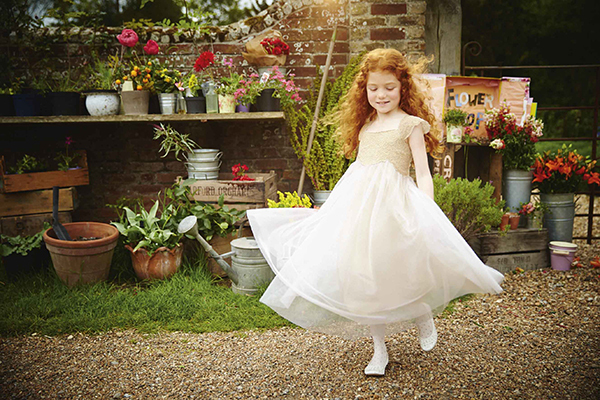 We love them as your something blue! 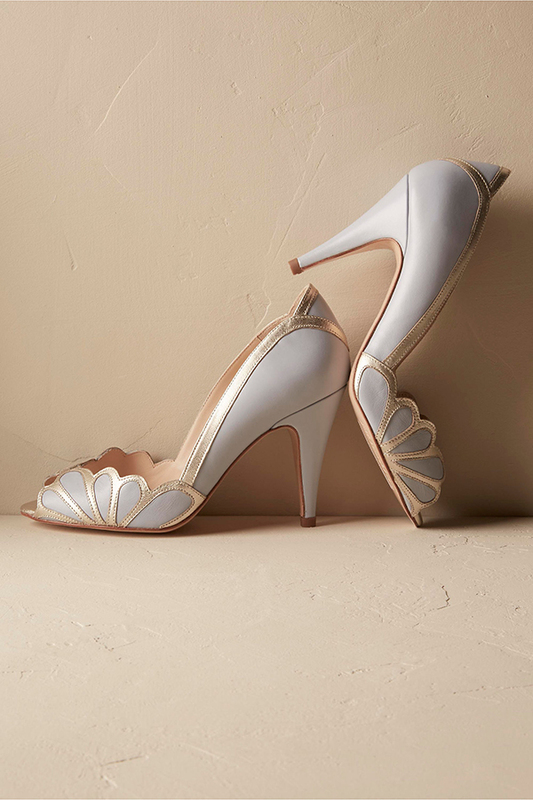 A beguiling arrangement of embroidered loops and swirls make these delicate, pearlescent leather ankle-straps a lovely sparkle-free option for brides, maids and moms alike. 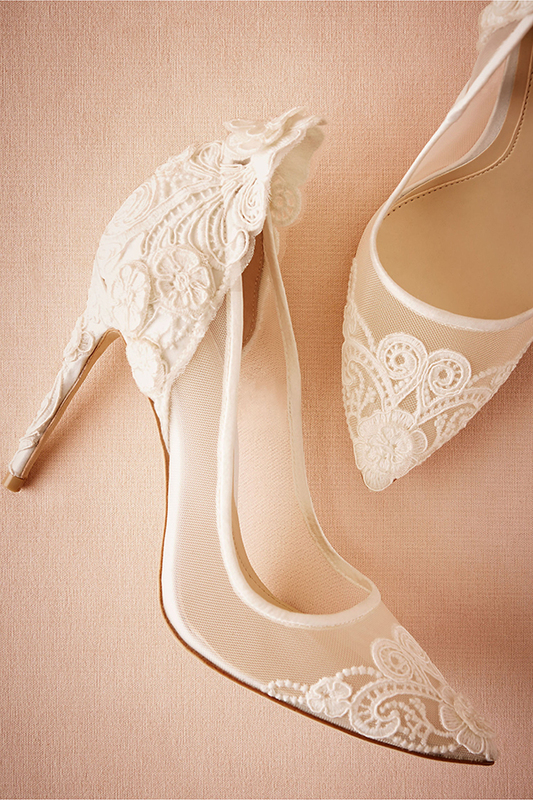 A kitten heel and ornamental setting make these d'Orsay heels perfectly sweet and sophisticated. 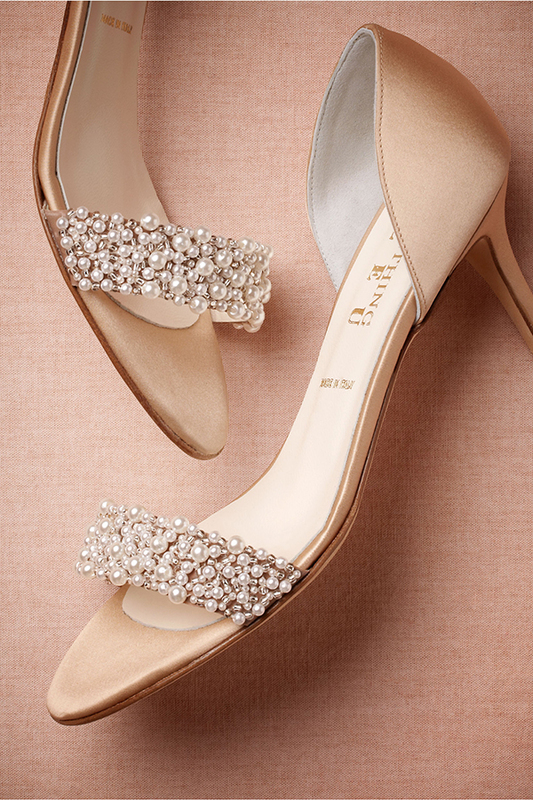 Encrusted with a lustrous array of the sea’s coveted gems, Something Bleu’s satin slip-ons convey the same timeless elegance as an heirloom strand of pearls.